So a bit back I picked up a 20-sider from Artisan Dice. Not just any 20-sider but one made of Mammoth tusk ivory. It had a nice cedar case but not something to really show off its magnificence. Thanks to Jolly Blackburn, creator of Knights of the Dinner Table, I now have a proper display for my die. The 'Exalted Dice Shrine'. Preview,....foreshadowing... whatever you want to call it. Either way this is a project I've been playing w. for a long time. One of the main holdbacks has been my lack of any artistic skills. There have been a few aborted attempts but I finally found a designer willing to run w/ my vision. Again I abused the services of MADMANMIKE, creater of my character renderings (a job I'm betting he's regretting ever taking since it opened up the doors) and several other projects over the last few years. I love the various maps in OGRE but I wanted something a bit more ... personal. So Mike's challenge was an OGRE DE/6E scale map of my county. This is the result. The hexes are a bit bigger than 6E/DE but this has more to do w/ the limitations of the printing services I have available than anything else. The only local place that will do 24x36 is Walgreen and their editing software is OK but doesn't do everything. Doesn't matter. This will work fine for what I have in mind. Two medium sized urban areas w/ numerous strongpoints and heavily roaded. Lots of open areas/farms but a strip of wooded and streamed area (not quite a river) along the eastern side. 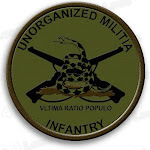 The scenario I'm working on is based off of a local uprising near the end of the war w/ local militia, reserves, and obsolete/archaic unts deciding enough is enough. In response, NAC forces will try to retake these rebellious localities. I'll be mixing in some old school pre-6E OGRE ruleslike revetments and militia along w/ a few a options I'm mulling over to give the defense some unexpected teeth. Now to find the time to write it up and playtest. The boys and I decided to have a game of A&A this weekend. I played Axis: Germany and Japan. The boys wanted to gang up on me w/ 4PA playing USSR/USA and 5P playing the UK. Round 1 was the usual back and forth. USSR took the Ukraine from Germany but made one huge mistake. Instead of following the traditional 'buy infantry' for the Soviets, he bought a battleship. I forgot to take a pic. By the end of round 2, Germany had been pushed out of Africa and Japan out of the Asian mainland but Moscow had fallen and the USA's Pacific fleet had been destroyed. Round 3 was a German expansion through Asia and a UK/USA naval buildup. Finland/Norway and Western Europe changed hands a number of times. Japan consolidated their gains and built up naval forces. Round 4: More back and forth w/ Finland/Norway and Asian expansion by Germany. Japan got back it's mainland territories and Germany re-enforced its 'Atlantic wall. The last of the Soviet forces were eliminated. US/USA forces continued an Atlantic buildup of transports and capitol ships but the USA neglected the Pacific. Round 5/6, Endgame. Africa falls to the Wehrmacht. Australia is occupied. Alaska and Canada are invaded. During these rounds, the Atlantic fleets of the UK and USA get destroyed by combined attacks from a much increased Luftwaffe and Kreigsmarine. 4PA dropped out at this point after a multitude of horrible rolls (I can relate) and 5P and I decided to finish it off w/ a last few attacks, eventually causing the loss of the Eastern US. I did an AAR w. the boys, giving them some tips on play. We'll see how they do.